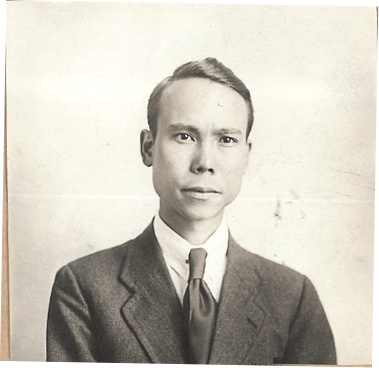 “John Mackenzie photo,“ 1921, Chinese Exclusion Act case files, RG 85, National Archives-Seattle, John Mackenzie file, Seattle, Box 1310, Case 38905/1-11. John Mackenzie, arrived in Seattle on the s.s. Princess Adelaide on 3 August 1921. He was applying for admission to the United States as a United States citizen. He was 25 years old and was born in Canton, China. He had never been to the United States but he did possess State Department Passport #21840, signed by Chares E. Hughes, secretary of state. His father, who died in 1903, was born in Scotland and was a naturalized citizen of the U.S. John Mackenzie was educated and registered in Hong Kong. He had been a clerk with the Standard Oil Company at Hankow but was not currently employed by them.